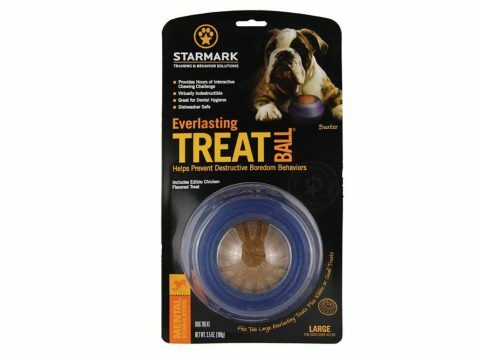 Prevent boredom, entertain and stimulate your dog’s mind during surgery recovery with the Everlasting Treat Ball long-lasting dog treats. Tripawds can recover from amputation surgery quicker and safer if their physical activity is kept to a minimum those first few weeks. The Everlasting Treat Ball helps keep their brains active without wearing out their healing bodies. 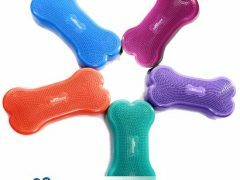 HOLDS A VARIETY OF TREATS AND KIBBLE Use our original Everlasting TREATS or Everlasting Treats with Dental Ridges in each end. Increase the challenge by adding smaller treats inside. 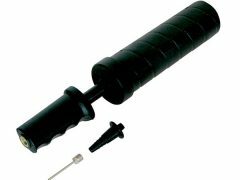 MADE WITH VIRTUALLY INDESTRUCTABLE MATERIAL Stronger than rubber! Great for powerful chewers. Free of latex, vinyl and phthalates. 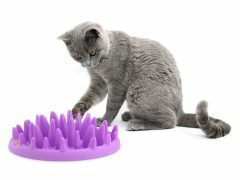 PROVIDES HOURS OF CHALLENGING PLAY Treat ball system encourages play which helps reduce anxiety and boredom behaviors. See all Starmark pet products. Find best Everlasting Treat Ball price and more customer reviews on Amazon. Be the first to review “Everlasting Treat Ball” Click here to cancel reply.